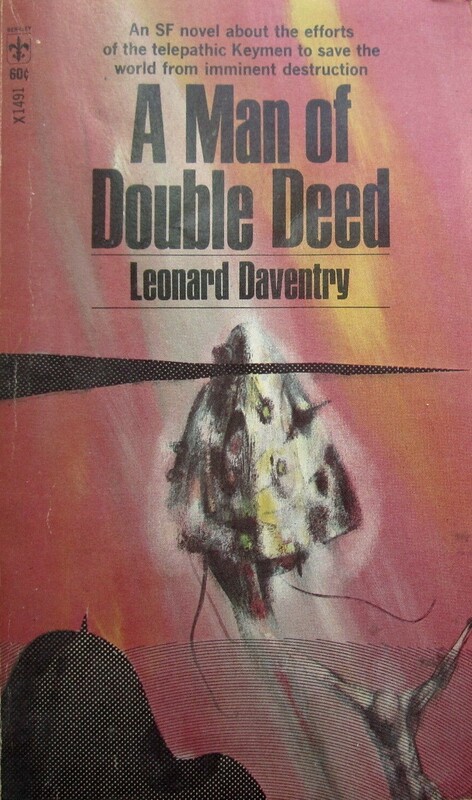 Leonard Daventry’s A Man of Double Deed (1965) is an dark and grungy tale of polyamory, telepathy, and apocalyptical violence. 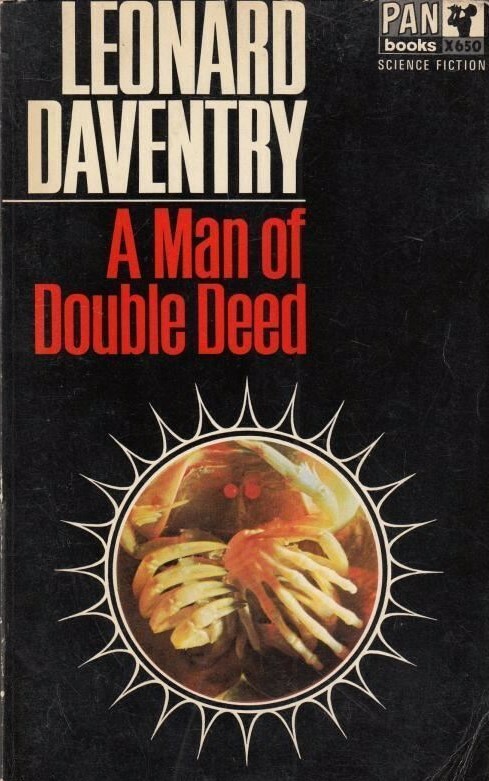 Swinging between philosophical and emotional introspection and awkwardly explained action sequences based on the flimsiest of plots, Daventry’s novel succeeds as a noirish character study but fails as a compelling unity of parts. The year is 2090, Earth has only partially recovered from a 1990 nuclear apocalypse. Claus Coman, ex-Interplanetary Force crewmen and ex-geologist “trained in paleontology and mineralogy,” discovers his telepathic powers and joins the Keymen, a group of telepaths who serve as the custodians of humanity (5). This is a world beset with a severe internal crisis, “young people of eighteen and nineteen killing and maiming each other, their parents and even complete strangers, for no apparent reason” (18). The Keymen assign Coman, after his return from a mission on Venus, to influence an important politician to support the creation of a “war section,” which would gather together the dangerous youth of society. The precise goals of the project are murky at best. The government appears to have previously implemented draconian policies, including child rearing controlled by the state, to curb youth violence. 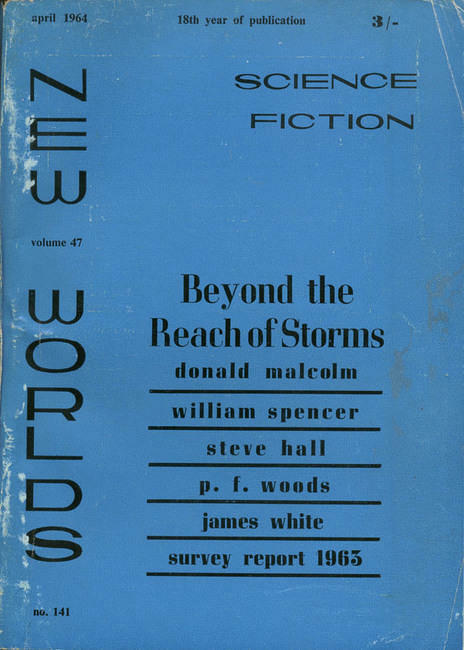 The general populace believes exterior crises loom: possible alien signals and interstellar weapons from “anti-human elements outside the solar system” which destroyed three spaceships (9). Daventry indicates that many of the exterior forces are really interior symptoms of society’s chaotic decay (48). Coman himself notices the “general atmosphere of hysteria and fear which sat like a malignant miasma” over all (33). At various points Coman ruminates, as he is prone to do, on grandiose narratives explaining the ills of society: he tells of the failure of the radical youth of the past who through science and expansion attempted to liberate our minds before falling victim to familiar human vices… (15). Their children, a generation that detested and abhorred all illusions turns destructive (15)–are delusions of uncovering humanity’s “truths” and conquering all challenges necessary for us to survive? This is close to an explanation as we receive…. In Daventry’s world both the esteemed elders (who created the Atomic Disaster of 1990) and the youth have failed. Other than perhaps the Keymen, who, like the elders of the past, might be chasing unattainable dreams of world peace. Coman, a character straight from a noir, “drank in moderation, smoked heavily, said little at any time, laughed hardly at all, and was capable of falling asleep anywhere” (5) He’s also something of a throwback to a previous era: he smokes (illegal in 2090) and lives in a house from the pre-Atomic disaster period filled with music and objects of the past (10). His relationships also contain an “antiquated” element: not so much his ménages à trois with two women (Jonl and Sein) but their collective “near-religious belief in ‘love'” (32). Some reviewers have pointed out the problematic sexual politics of the novel (here), criticism I tend to agree with. Daventry does indicate this is a world where fluid male sexuality is also acceptable (Jonl’s father has a male lover) but it’s hard to escape the fact that Coman’s partnership is primarily for his own benefit (assuaging the hellish emotional onslaught he’s subjected to as a telepath) and pleasure…. 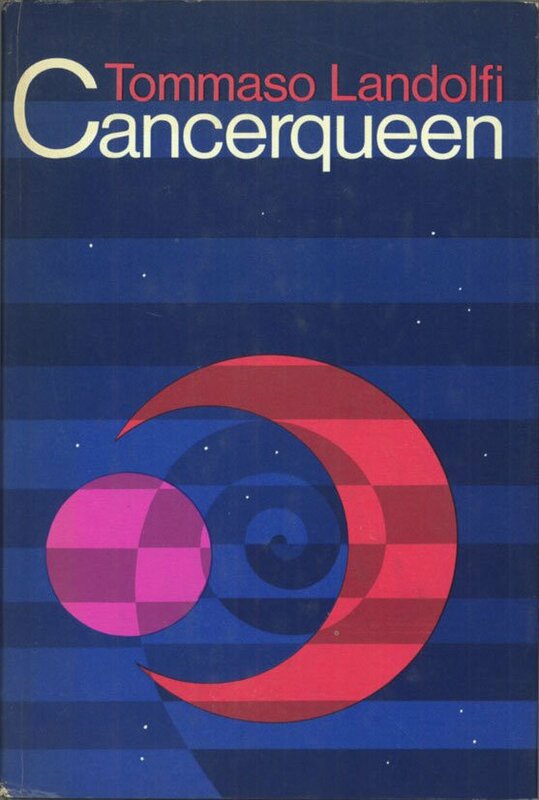 The novel’s a product of the 1960s which attempts to present a progressive view of sexuality yet can’t escape stereotypes of the era. 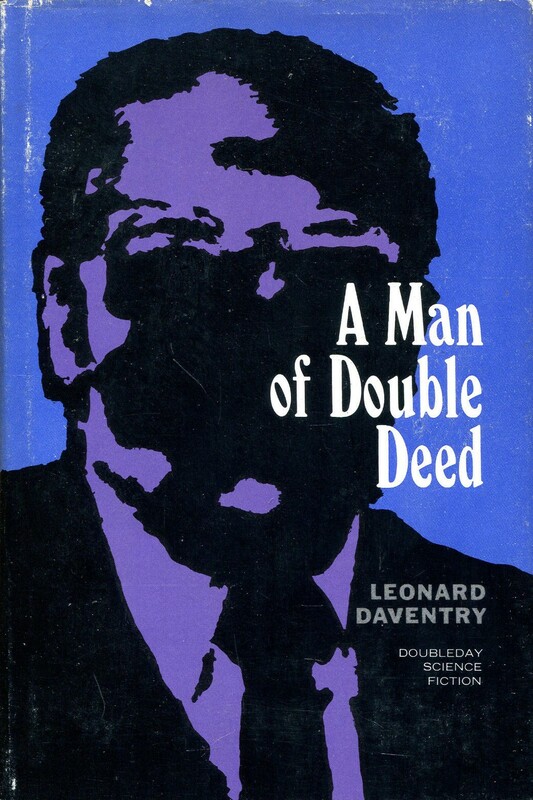 A Man of Double Deed (1965) is a character piece–the focus is Coman and his struggles with telepathy in a violent and unsettled world. 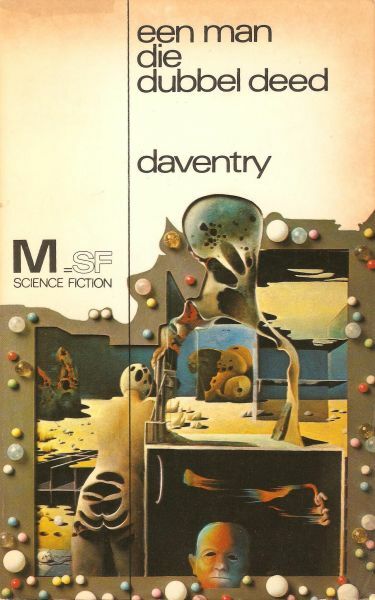 While Robert Silverberg’s Dying Inside (1972) painted telepathy with realistic strokes in a believable world, Leonard Daventry blends together a dizzying array of SF themes and ideas, often as bewildering as the emotions bashing against Coman’s mind. 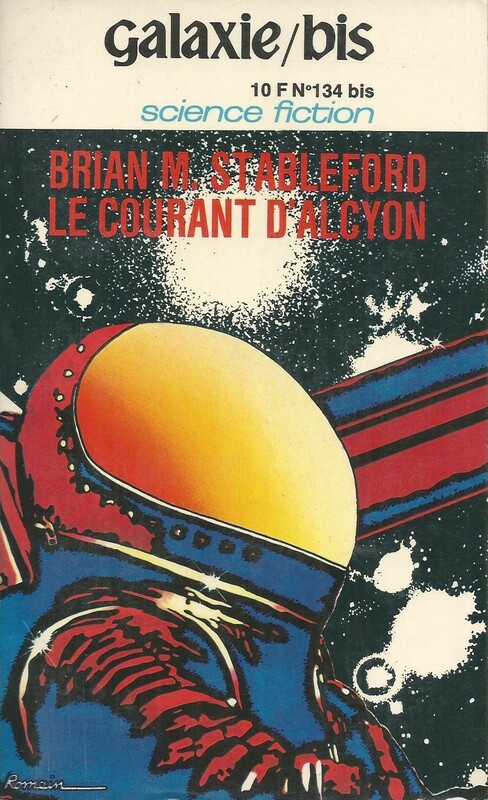 If you’re a 70s SF completist obsessed with the obscure, this one might be for you. Oddly compelling yet deeply unsatisfying…. The author behind the blog Solar Bridge had a more tempered view. I don’t think I will be tracking this one down. That said, several of the rather disturbing covers are quite effective. I think the Thole is my favourite? it does contain one of the futuristic cities we both enjoy. Hello Guy. I understand completely — this is an unusual read, and I appreciate it for that, but I also struggled with it. 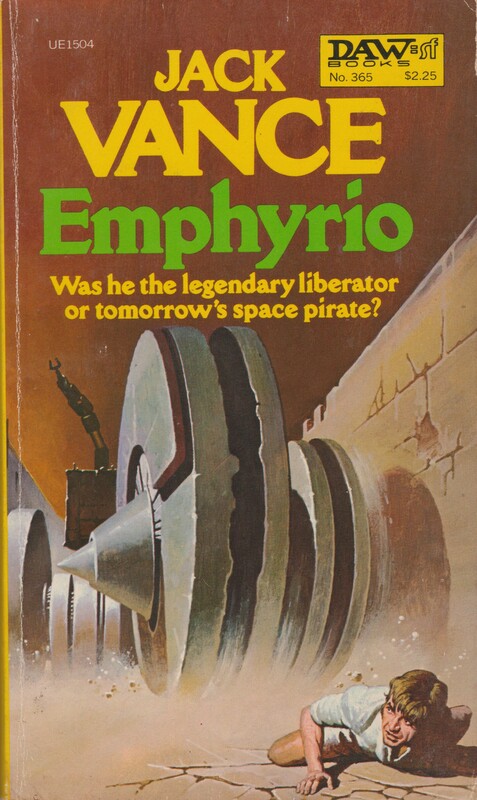 That said, I found the main character far from a standard pulp-SF hero (he’s the moody introspective sort who has to be prodded into action). 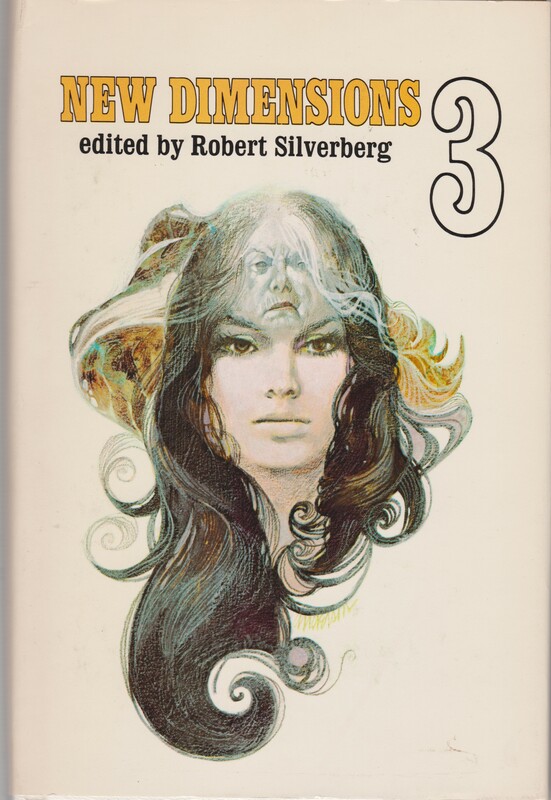 There are two sequels, I’d probably read it if I had a copy…. just to see what happens next. But yeah, the Thole cover is fantastic! I’ve been thinking of putting together a Thole and Future Urbanism cover art post. That freaky crabby type creature in the circle is woefully sinister. The brain city one at the end is most excellent. Another great selection of covers. Thanks for sharing. I like that phrase, “woefully sinister” — like a schlocky prop from a B-film that, at particular angles, manages to still be a tad creepy! (no clue how it relates to the book!). Does the book intrigue at all? But yes, give me more brain cities! 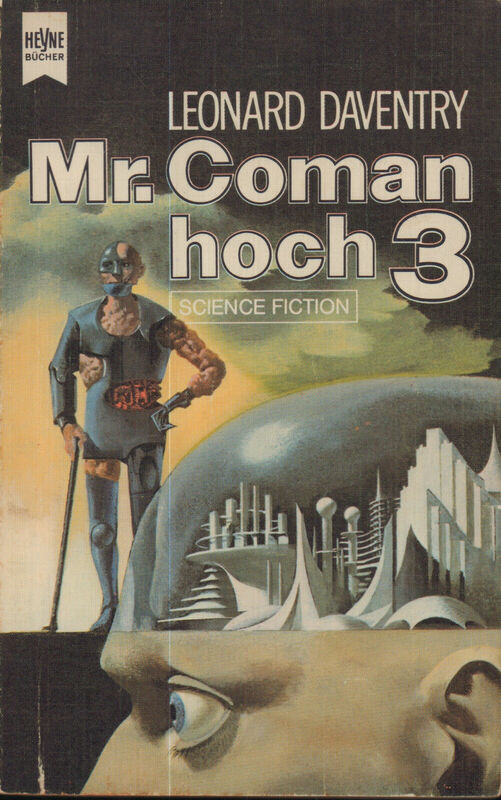 Karel Thole has always been one of my fav cover artists. Yep it’s strange and creepy! Haah “no idea how it relates to the book!” lol so that freaky thing isn’t in the story? How weird. Does the book intrigue as all? you ask. Yes of course. Though I very rarely read anymore but when I’ve watched all the films and retired, I need to dig out my old books (a fair few sci-fi ones) I’d picked up from charity shops over the last 30 years. Always enjoy seeing the art work more tbh. You doing a grand job showcasing the covers. Sorry meant to reply to the question above. Doh! Definitely not in the story. Lots of UK presses used any type of art they could get their hands on — even if it didn’t relate to the story. Think of all those Foss covers! A dime a dozen…. rarely related to the content. It’s amazing you are archiving them all here. You’re doing sterling work my friend. It’s easily the most addictive thing ever — you can browse by press, by cover artist (if they know the artist), etc. You’re welcome. I’ve been obsessed with Romanian covers recently… facilitated by isfdb.org. Might put together a cover art post! Nice array of covers. Liked the Powers, Thole, and van Amsterdam cover’s equally. What I like about this site is your insistence on reviewing the forgotten, obscure, and lost books/authors. 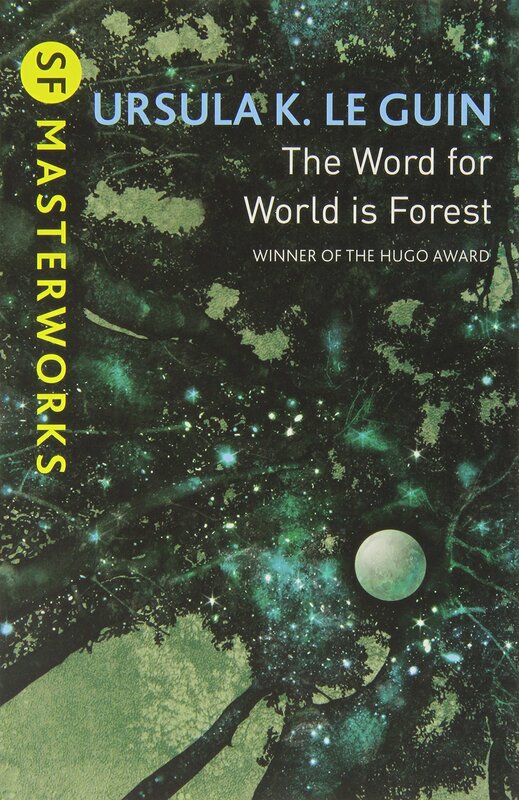 Not sure if I would like to read this novel, but would be interested in your reviews of the rest of the books of this series. 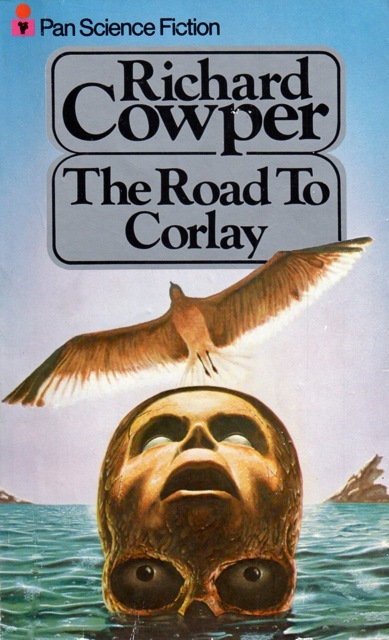 Was there a law passed in the sixties that stated that Powers had to illustrate damn near every paperback during that time? Thanks for the kind words! Ehh, I sneak a few better known authors and books in here and there… I try to mix it up a bit! 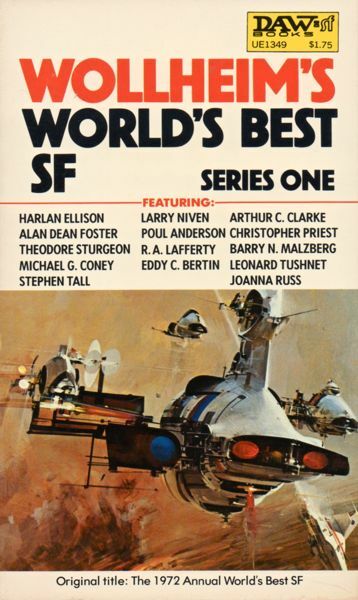 Powers certainly made SF covers look far more professional. 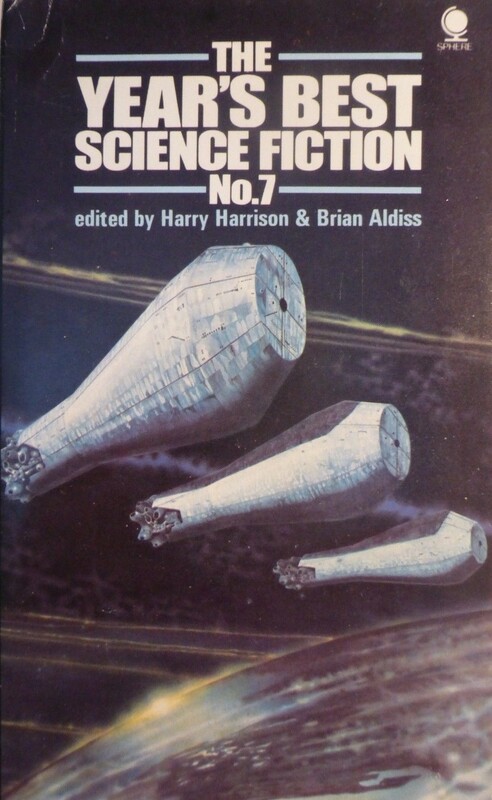 But yeah, he definitely illustrated most of Ballantine Books’ volumes. I’m almost tempted to pick up a copy. But I have far too many more recent titles in mind to read so I probably won’t. Got to keep up so I know what to sell people! Your review makes it sound quite intriguing to me though. If I were in your position, I’d compulsively read reviews of new books (and follow Youtubers like SF180 as he reviews and discusses all the new books) but not read them personally…. haha. Ha! I used to read all the reviews I could but I’ve cut back a lot, mainly to ones I’m actually interested in personally. 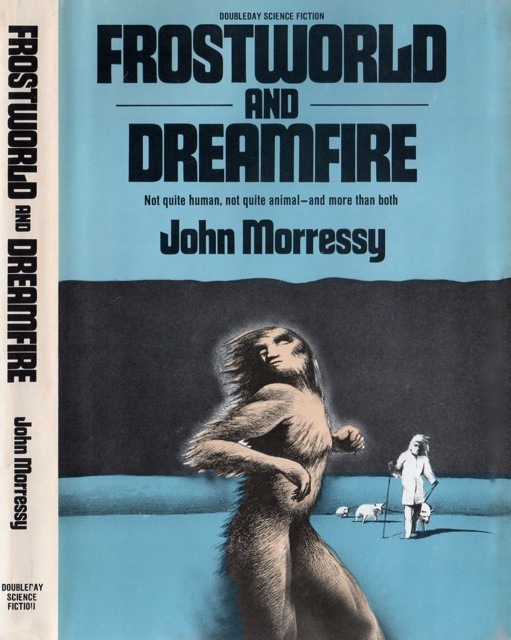 Admittedly my favorite of the covers is the uncredited one from Pan Books. Something about the stark contrast of the tiny image surrounded by black, and the image itself is both vaguely alien and vaguely human. It could be a rib cage, or a crab, or a spider, or hands, or any other mess of ideas that potentially present themselves. Since you mentioned the idea at future values and sexuality through the lens of the 1960s, that has me curious: is this meant to exist before or after Coman discovers his telepathy? Is it a sort of response that causes him to adhere to a pre-destruction “stability,” or is he always like that? I admit, I find something subversive about the idea of getting inside the head of a ruminating telepath. Thank you for pointing out yet another book that I was completely unaware of! Thanks for the comment. Do you mean, is his polyamorous relationship supposed to exist before or after he discovers his telepathy? The implication is that it exists after he discovers his powers — and yes, it is clearly to give him “stability.” His adherence to the “love” is definitely a stabilizing element in his life…. and archaic. I agree with you about the subversive element of the novel and the idea. It’s worth exploring — although, it might be somewhat frustrating. Quite like the Amsterdam cover.